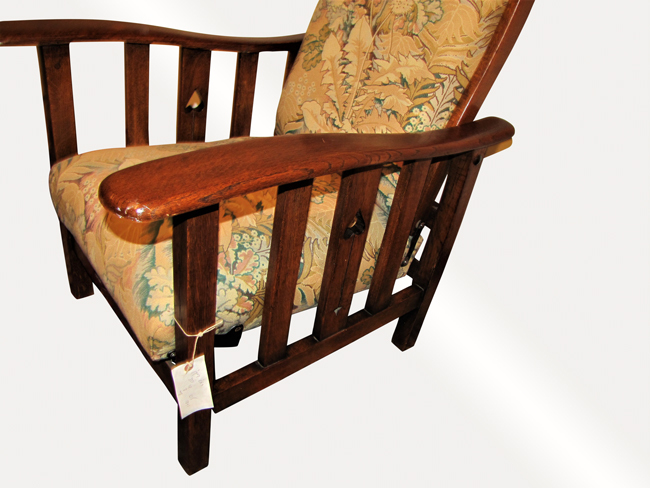 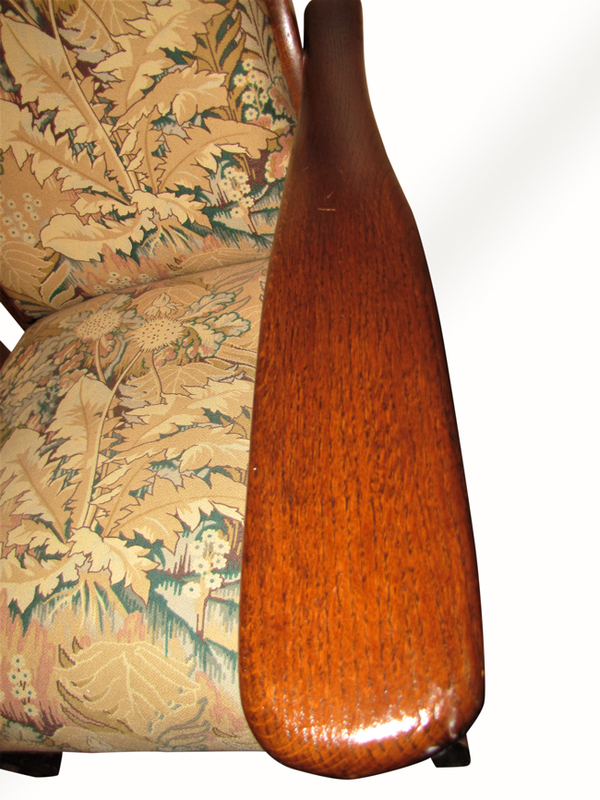 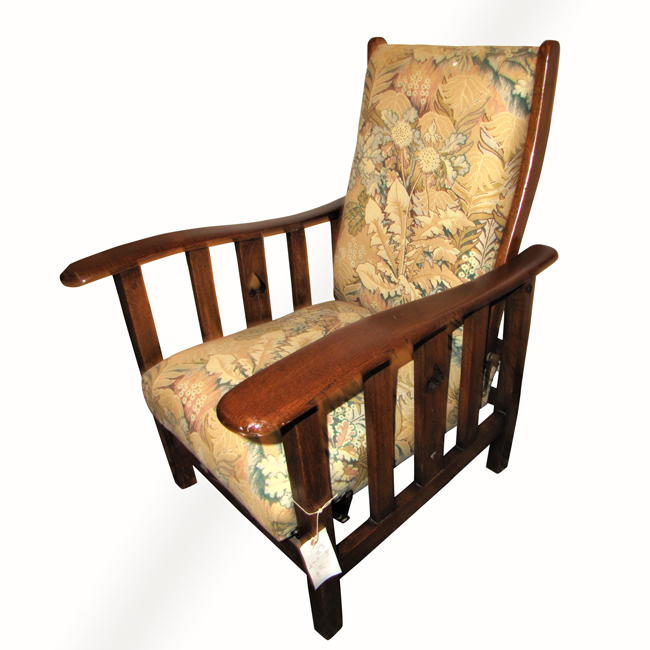 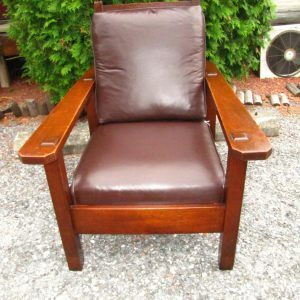 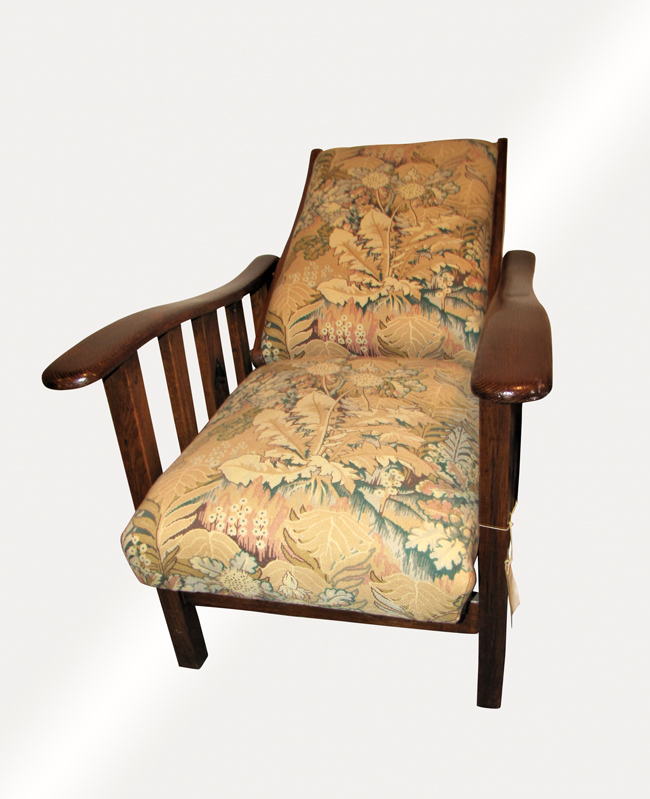 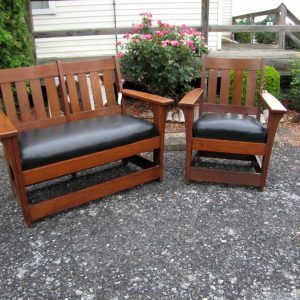 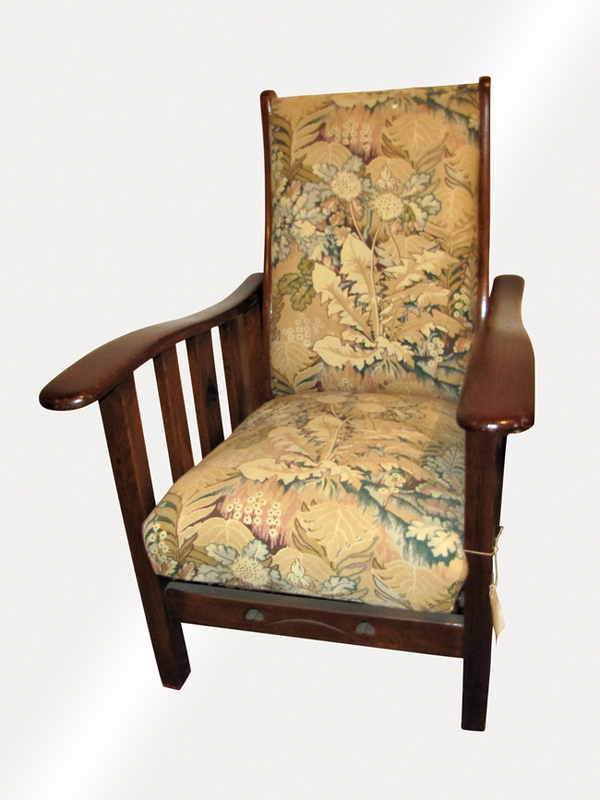 This is a Vintage Reclining Chair with Cutouts that looks like it is from the 1930’s. 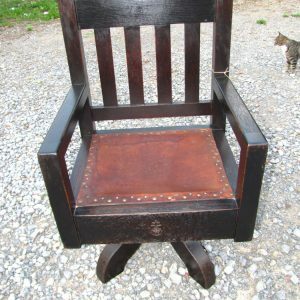 The chair has a good original finish and a beautiful color. 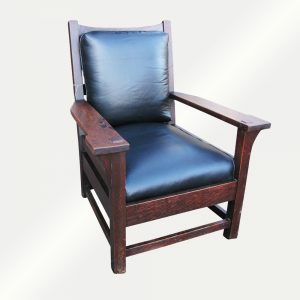 It is most likely an English chair. 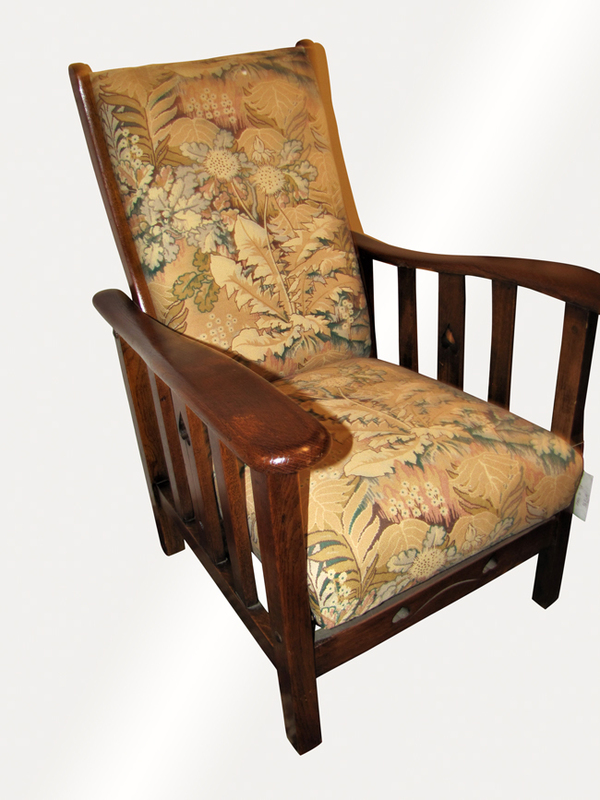 The upholstery is a vintage fabric as you can see in the pictures.